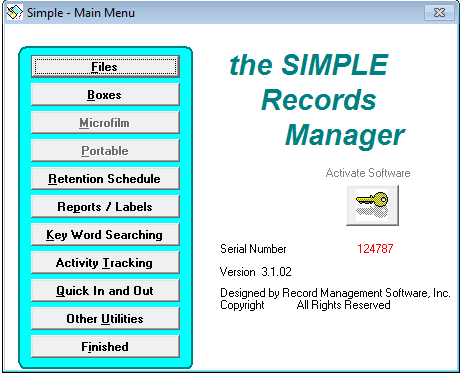 simplelanserver.exe is an install program for Simple Records Manager Software for Windows. To download the program click on the red "Download" button (on the left). You will be prompted to save the file to your computer. Please write down the folder name to which you download the program.